JUST DO IT! 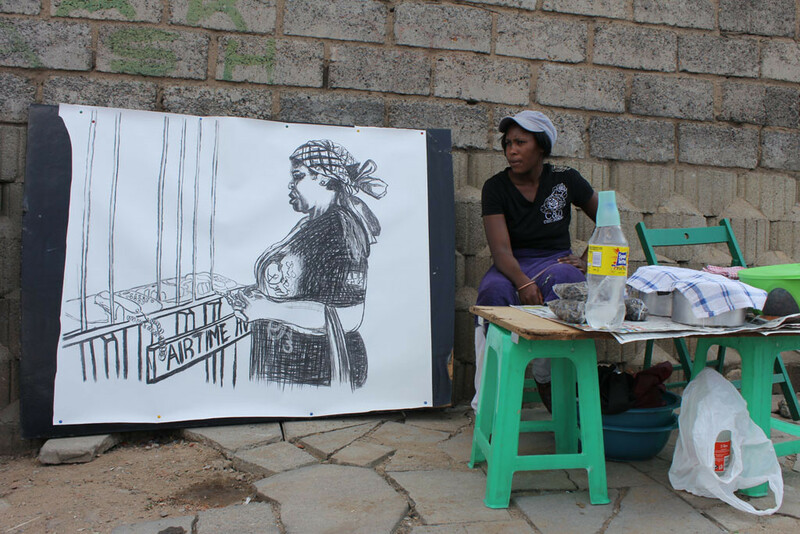 Creative Strategies of Survival brings focus to local small scale businesses in Johannesburg and highlights the challenges and chances that they face through artistic interventions. 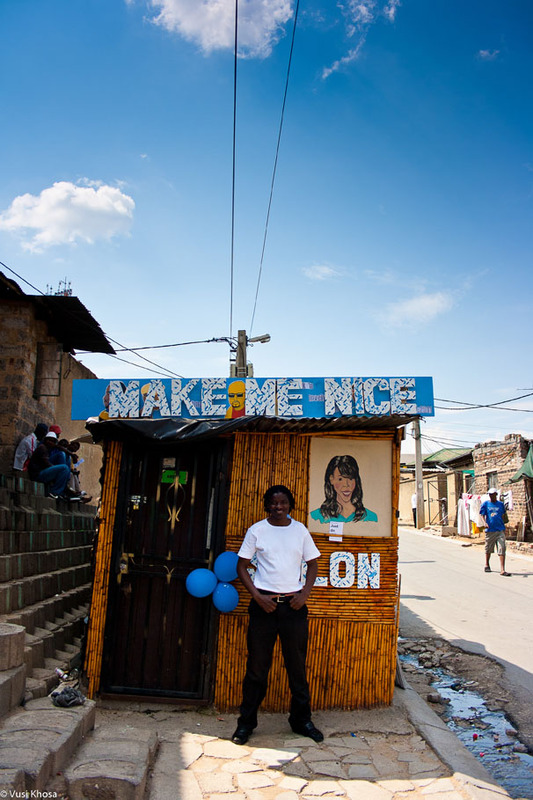 Collaboratively with emerging South African artists the project engages with Spaza Shops in the township of Alexandra in order to learn more about this small scale entrepreneurship. Investigating daily activities, marketing strategies, social interaction and alternative business models the artists developed creative interventions that were presented in a month-long exhibition in and around the participating Spaza Shops. All projects were realized collaboratively with Spaza Shop owners, customers, employees and families. During the one month exhibition period, creative skills workshops with the local community were conducted by the participating artists. 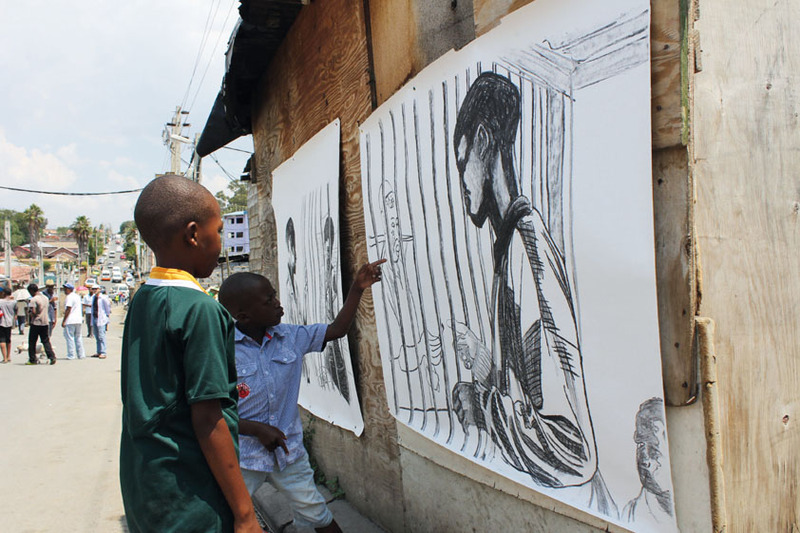 In Johannesburg people show an enormous creative potential to invent their every-day life. One invention is the Spaza shop that is unique to South Africa. These shops grew as a result of sprawling townships under apartheid that made travel to formal shopping places more difficult or expensive. Spaza shops function as local convenience stores that initially were predominantly in the townships but nowadays are spread all over the country. There are about 100,000 Spaza shops in South Africa today with a collective annual revenue of approximately US$1 billion. Spaza shops are typically family-run businesses that are part of the house, or are kiosks in front of a private home, and are constructed out of any material available. 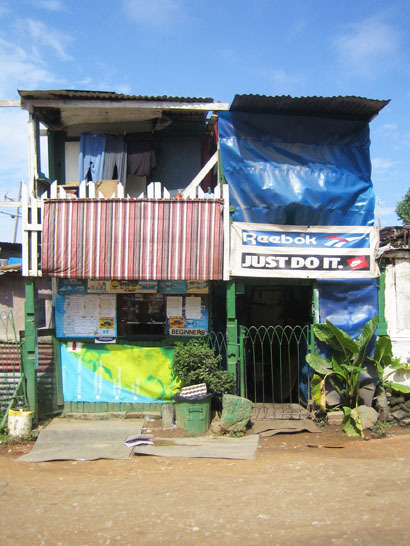 Spazas are not simply suppliers of goods, but take on the role of social spaces where the family gathers during working hours (often 24/7) and friends and neighbors stop by to have a chat and a cigarette. There is a growing awareness of the importance of the Spaza retailer as a marketing channel among manufacturers and producers. Coca-Cola and SABMiller (South African Brewery) are some of the very few companies doing deliveries to Spaza shops. One of the main problems experienced by Spaza owners is increased competition with too many shops operating in too small an area. Limited financing is also a problem. Another threat Spaza shops are facing presently are the shopping malls that are being built in the townships. Supermarket chains offer cheaper products and therefore present a huge competition to the Spazas. 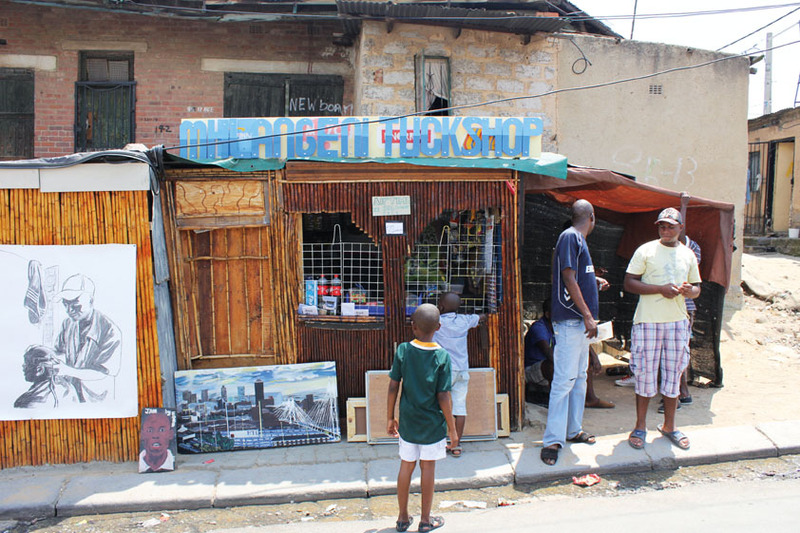 More and more Spaza shops are closing down which not only means a lack of income for many families, but further a loss of community gathering spaces and the disappearance of a culture particular to South African townships. The idea for the exhibition Just do it! stems from a fascination with the ingenuity that one sees in all aspects of daily life in Johannesburg, and a desire to further investigate how creativity informs the operations of these stores. Spaza shops themselves are small artworks and it is the personal stories of the people running these businesses, as well as their efforts, that deserve to be showcased. In our globalized economy it is easy to take the individual in the complex network of trade, goods, and labor for granted. What does it actually mean to be a Spaza shop owner? Where do the goods come from? How do shop owners deal with competition? How many people need to survive off the small income generated? What are the social and economic networks in the local as well as in the global arena? And what can we learn from them? With these questions in mind, the exhibition is designed in the township of Alexandra in close participation with Spaza shop owners and users. 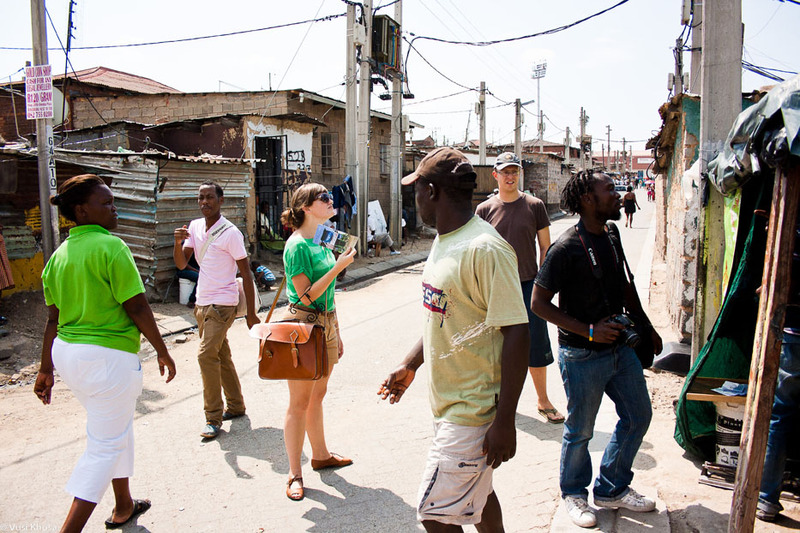 Working in Alex is challenging, delicate, and necessary at the same time. The township is located in the north of Johannesburg right next to the city’s financial district—Sandton—one of the most upper class neighborhoods and the country’s connection to the global economy. People from Alex commute to Sandton to work as waiters, cleaning ladies, or other service-related jobs. Alex is a semi-formal township and it is very unlikely that the normal Jo-burger would visit the township. Breaking the boundaries between these two neighborhoods and their inhabitants while expanding those of formal exhibition spaces like galleries and museums, the exhibition took place within the parameters of Spaza shops in Alex. Visitors to Just do it! were asked to interact with the reality of the space and the site-specific interventions. Unlike the re-produced reality of a gallery space, the visitor had to engage with the Spaza’s community: the shop owners, family members, and customers. The concept for JUST DO IT! Creative Strategies of Survival was developed by Katharina Rohde and was winner of the apexart New York Franchise Program 2011 that further funded the realization of the project in early 2012. An Exhibition curated by Katharina Rohde. Featuring works by artists: Buhlebezwe Siwani, Keabetswe Mokwena & Reatile Mokwena, Claire Rousell and Sipho Charles Gwala. the necessity for me refers to bringing about awareness on socio-economic conditions of the area and the everyday struggle of the people. The Spaza shop owners are threatened by big business moving into the township, yet the imminent potentials of those small entrepreneurship is highly undervalued – the social impact these businesses have in accomodating communities. These potentials are often not visible, hence the necessity is to visualize them and to interact with them for ongoing regeneration plans of the site. 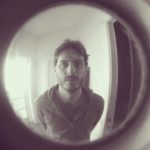 I suppose what is a ´necessity` is also a personal decision to some extend. Also, three of the five emerging artists involved are from Alexandra, one is a Spaza Shop owner himself – so it is very much an insider perspective as well.